How to Train and Prepare for your First Boxing Match. You are ready to prepare for your first boxing match. The coach has given you the green light and you are booked in for your first bout. 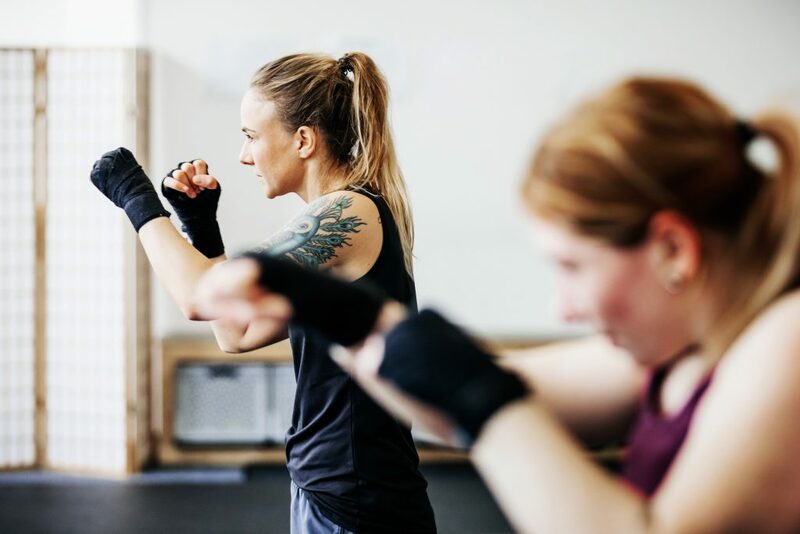 It’s important that this is a decision that you and your trainer are happy with, and remember if you’re new to boxing it usually takes between 4 to 12 months before people sign up for their first bout. Take your time and be patient. The longer and harder you train, the more chance you’ll have of a successful debut. Once you have committed to your first fight though, you have a certain timeframe to be at your peak both mentally and physically in order to win in the ring. From last-minute preparations to the weeks running up, read on and make some notes. Training for your first boxing match. Overtraining on the build-up to your boxing match is your first enemy and a common foe that every boxer faces. That is not to say that you slack off in training but if you are feeling fatigued on fight day and your opponent is a fresh ball of energy, the odds won’t be in your favour. Regular training is vital but it is suggested that 2 weeks before the fight you keep training to one hour sessions. Keep up your cardio basics and focus on agility with the jump rope, speedball and punching ball. Your training routine before the fight should also maximize physical conditioning and guess what? Your technique can only be perfected with repetition. Remember, boxing is a test of strength, endurance, mentality and agility. It is usually the fitter boxer who comes out on top. 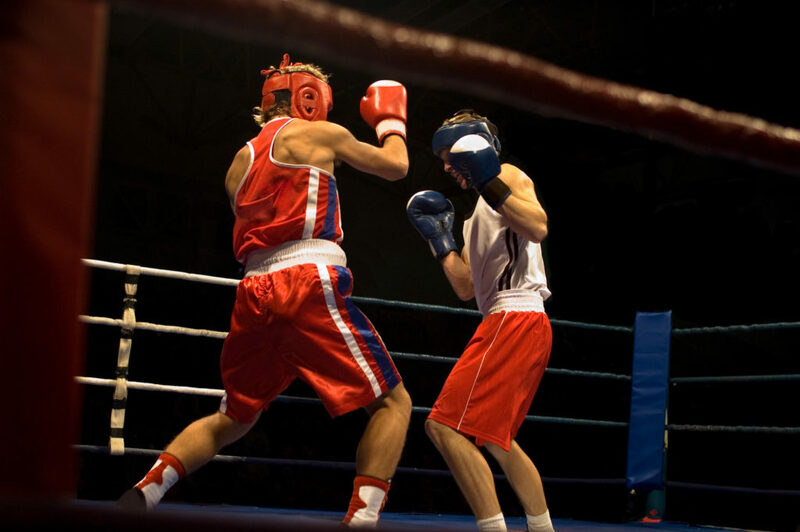 If you are preparing for a three-round amateur boxing bout, make sure you train for six rounds. …and here we are telling you not to overtrain. Find the balance. Find out about your opponent. Are there any videos of them fighting? How tall are they? Are they known for anything? Any advantage you find, exploit it. Don’t rely on someone else to do the research. Learn about your opponent first hand. Make sure you are training to win and have a game plan for both defence and attack. Watching your competition closely and learning is a fundamental aspect of winning. Make sure to spread your training evenly too. It’s just as important to spend time on your balance, ringcraft and overall fitness as it is to work on your attack and defence. Mindset: You will win your first boxing match. You first boxing match will be on your mind day and night. … and the pressure will stress you out. It’s completely normal to worry about your fight but getting into a confident mental state in the weeks, days, hours and minutes before your fight is vital. Read our ‘Mind over Muscle’ for a thorough breakdown. You will hear ‘get some rest’ time and time again. What this means is SLEEP. It doesn’t mean chill out on the sofa until 1 AM scrolling through last-minute boxing inspiration. Firstly, your body needs to heal and repair but you need to be mentally present and alert in both training and on the day of your first boxing match. Check all your gear, make sure it’s in working order and put it in the car ready. Turn the T.V or some music on and shadow box for a bit, practice some technique. Do what you need to do to clear your head – meditate, take a walk or a bath/shower with no distractions. It should be coming up to bedtime now so take 30 mins to stretch everything out. Hit the hay. Not at 1 am, but at a time which allows you to get 7-8 hours sleep. The boxing greats all had their own way of mentally preparing themselves, and only you will know what gets you in the zone. Find that piece of music, that video clip, the earbuds or person that will cut out all distractions and give you the edge over your opponent. You know the rules. Fights are divided by weight category. Keeping an eye on the numbers is important, so don’t be caught by surprise. Prepare your body in advance and make sure your boxing diet is healthy and consistent. Hitting your target for the weigh-in is important, but getting there in a safe and healthy way is critical to the success of your bout. It is vitally important not to do anything drastic to reach your weight goal. For example, losing weight in such a way that will get you dehydrated or make you lose muscle density. It can also have more long term detrimental effects. If not done properly drastic weight changes can actually shorten your life, or affect your health drastically. Let’s not complicate things, it’s stressful enough. Use this tick list to make sure you are in the zone. Drink as much water as you need hours before the fight and keep urinating and flushing your body out. BUT, an hour before the fight… only sip water. Avoid having a stomach full of water will make you feel tired and/or nauseous, especially if you get punched in the stomach. Same goes with food – don’t eat at least 2 hours before your bout. Get someone to organise your family and friends. Your support network can be a huge motivation and mental help when they are in the audience watching your first fight. But make sure they know that you need space, time to warm up and to get in the fight zone. If you have everyone texting you that they are there, wanting to see you and even asking for directions, it can add to the stress. Allocate someone to take that responsibility. Two boxers fighting on the ring. Good Luck training and preparing for your first boxing match. You should be ready to take on this challenge. Boxing fights normally take months to prepare for, so you should have plenty of time to get into shape, learn about your opponent and master your technique. Just remember, simply participating in sport makes you a winner, whatever the outcome of your first fight. The only thing left to say is good luck and go win your first boxing match. 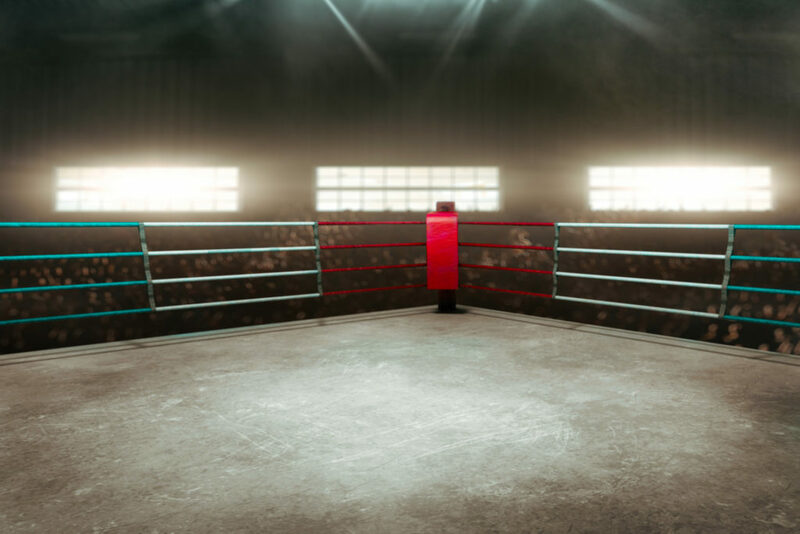 5 Boxing Workouts You Can Do At Home – Without Boxing Equipment.